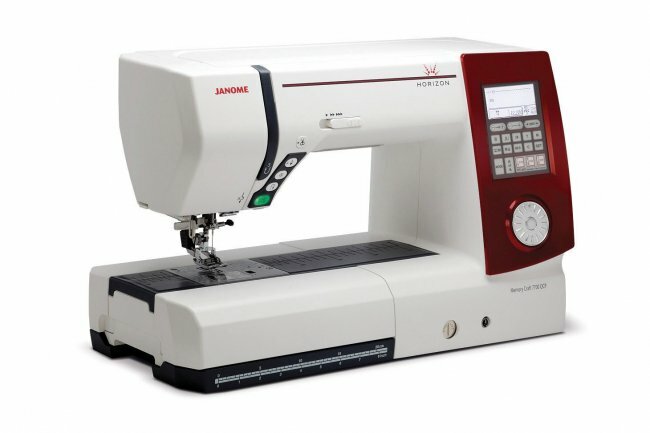 The Horizon Memory Craft 7700QCP unites years of Janome innovation in the most advanced and comprehensive sewing and quilting machine ever. 11″ x 4.7″ of work space makes it the largest machine in its class, and features like AcuFeed and the Superior Plus Feed System ensure accurate operation. Innovative needle plate markings give extra precision guidance and the Automatic Plate Converter allows push-button conversion to a Straight Stitch Needle Plate for quilt piecing and free motion work. The Horizon offers a range of advanced features to open up new possibilities for your creativity.